The plant is a multi-branched, scandent shrub with dark brown, almost black stems and bluish-green spear-shaped leaves between 1 and 2cm long. The plant has a bluish-green colour whilst the fibrous roots are a striking porcelain white. Below the ground is a large tuberous root. The leaves have virtually no stalks, are about 25mm long and are arranged in opposite pairs. Tubular whitish flowers with orange pollen of about 15mm long are borne in small groups. The fruits are orange and superficially berry-like, but each fruit is actually enclosed within the persistent basal part of the flower, which forms a slightly fleshy covering. The tasty round fruit is yellow-orange when ripe. The tuberous root is cut into chunks. These chunks are remarkably pure white in colour (`omhlope’ = white), and easy to identify. They have brown fibres embedded in them, and appear like pieces of plaster of Paris. Uvuma-omhlope is used to produce clear vision when entering into a trance. Root infusions are also used in rituals and assist diviners to `see’ in a metaphysical sense. Uvuma-omhlope is also used in an `ubulawu' mix. Ubulawu is not merely used to induce lucid dreams, but is a multi-faceted tool whose uses include connecting and communicating with one's ancestral spirits, having visionary and prophetic dreams, divination and finding answers to specific questions. There is a particular `ubulawu' mix that has Synaptolepis kirkii `uvuma-omhlope' as an ingredient. An unusual diterpenoid ester known as Synaptolepis factor K, has been reported from a Synaptolepis species (see Zayed 1977). by authors He W; Cik M; Lesage A; Linden IVD; Kimpe ND; Appendino G; Bracke J; Mathenge SG; Mudida FP; Leysen JE; Puyvelde LV in the Journal of Natural Products, 63(9): pp. 1185-1192, 2000 ISSN: 0163-3864. Abstract : The bioassay-guided fraction of a dichloromethane extract from the roots of Synaptolepis kirkii using neuronal viability as a model allowed the isolation of the new daphnane orthoester kirkinine (1a) as a powerful neurotrophic constituent. Neurotrophins are a family of molecules that encourage survival of nervous tissue. A molecule, usually a protein, that will facilitate the growth or repair of nerve cells. A protein, such as nerve growth factor, that promotes nerve cell growth and survival. 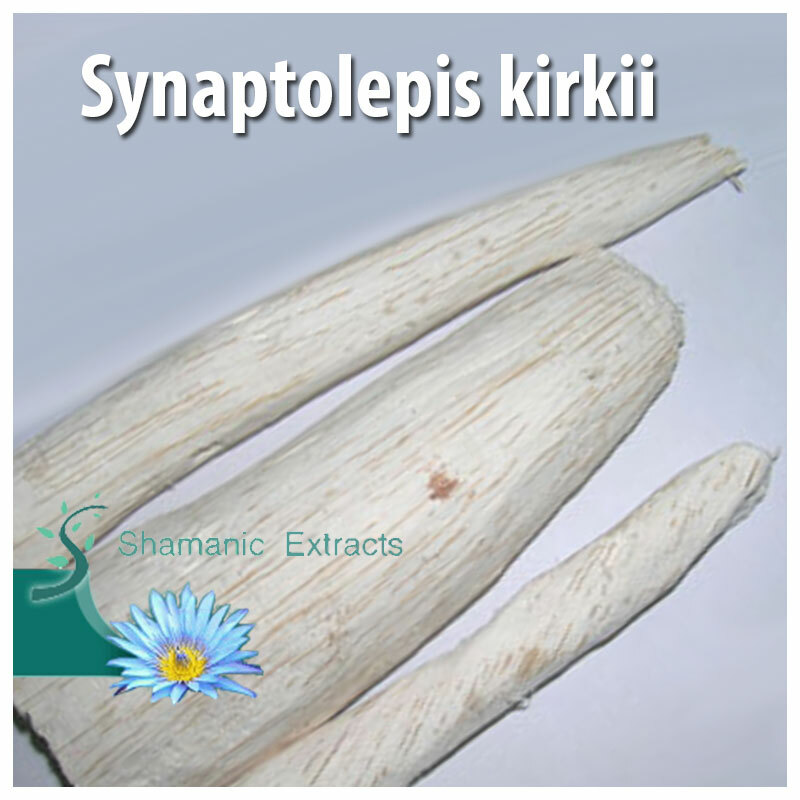 Share your experience about Synaptolepis kirkii with other customers. Submit your tips or thought on this product, be detailed and specific.